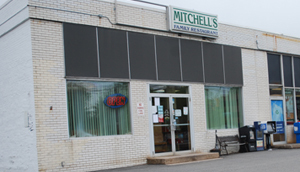 Mitchell's Coffee House has been a popular breakfast and lunch eatery in Rocky Hill, CT for more than 50 years. 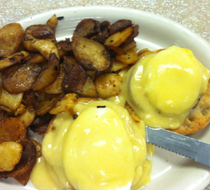 The restaurant is known as "Breakfast City" to regular customers and visitors alike. We serve breakfast all day. 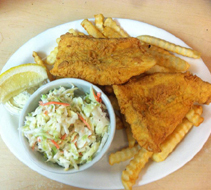 We have a variety of choices on our lunch menu from sandwiches to dinners. We also offer off-site catering service. Customer satisfaction is important. 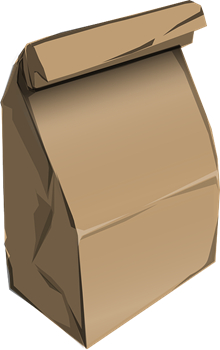 We purchase quality food and make sure it's freshly prepared. Our staff keeps the counter, tables and rest rooms very clean. Our service is fast and friendly. We have country-like decor and post photos and community notices. To make people feel even more special, we've been running a birthday club program that has been a success for more than six years. Mon. - Fri. 5 a.m. - 2 p.m.
Saturday 5 a.m. - 1 p.m.
Sunday 6 a.m. - 1 p.m.